Discover the most playful, compact and lightweight jet-powered surfboard that everyone can enjoy. Fun to ride and easy to use, the Mako Slingshot is designed to make the most out of your time on the water. The power to surf more. Unlike many other sports, surfing depends on nature’s will. You can’t just fabricate swell overnight. And there’s nothing you can do to change it… Until now. The Mako Slingshot jetboard has an authentic surfboard feel and gives you the power to surf more, even when the waters are flat. With quick set up, easy-to-use intuitive control and reliable performance, the Mako Slingshot makes fun on the water more accessible to users at all levels. Time spent on the water therefore is never wasted and yields higher returns – unforgettable memories, more hours well spent, experiences that nourish instead of passing you by. Whenever, wherever, Mako is the ultimate adventure to escape the everyday. Even though it’s packed with all the intense thrills and performance benefits of a traditional personal watercraft, the Mako Slingshot jetboard puts everything into an incredibly sleek and portable design. With the added advantage of being able to be conveniently stowed when space is tight, you can surf jet just about anywhere and do just about anything. The lightweight carbon fibre construction and recessed carry handles make for a stress free journey to the water, so you can free yourself from the confines of other forms of watercraft – no need for a deck crane, trailer or friend to lend a hand, just pick up the Mako jet board and go. Need a change of scene? Simply pop your Mako jet board on a plane, superyacht tender or in the car to explore further afield. We believe life is much better when you are healthy, happy, and connected to the people and places around you. Riding the Mako Slingshot powered surfboard has so many benefits to us individually, to our family, and to our friends. We know how great it feels to experience the sheer exhilaration of sportive power surfing, carving across waves at speed, and we want more people to experience this feeling. Mako’s simplicity, freedom and safety features make it easy and fun for you to encourage your friends, family and colleagues to power surf and share in the fun. Set up in minutes. It's that simple. Mako gets rid of unnecessary faff and focuses on getting you out on the water quicker, so your impulse to ride feels less like a chore. The Mako fin system allows you to install and remove your fins in seconds, without the need for any screws or tools. The plug and play battery easily slides in and out of the waterproof housing to eliminate power related downtime. The readily placed external fuel filler cap ensures greater safety, practicality & convenience for faster refuelling. Ready to ride the Mako Slingshot? Fast, it turns out, is strikingly beautiful. Despite its sharply defined squalene silhouette and muscular posture, the Mako Slingshot jet-powered surfboard is also the model of stylish discretion, with perfect proportions that create a sophisticated and desirable statement. Mako combines lightness and durability with elegance and practicality. The hydrodynamic bodywork is unsullied by superfluous graphics and over-the-top colours, allowing the fusiform lines to run cleanly from nose to tail. Crafted from high-grade carbon fibre, every surface, curve, line and crease has a function, expressing the Mako’s ultimate blend of refined performance and exquisite style. Learning how to ride a Mako jetboard is one of the coolest and most rewarding physical pursuits you can undertake to expand your ocean existence. It’s an awesome way to experience nature. You get such a thrill from being able to rip around the shoreline, cutting smooth arcs and hoping over your own wake. You feel like Poseidon gliding over the ocean and everybody watching is struck with awe. Master a few basic skills and you will be power surfing like a pro. Regardless if you’re a jet board neophyte or Kelly Slater, the Mako is designed to offer an instantaneous and intuitive experience that lowers the learning curve and generates positive emotions. The beginner can hop on for a try and find their feet with a few goes, while the seasoned surfer will enjoy the chance to push their skills on something completely new. Jetboarding is by far the most fashionable activity of the summer, make it your summer to ride Mako. The Mako Slingshot is a better toy than anything I ever had as a baby, child or teenager. I really don't want any presents this Christmas - the Mako jetboard has made my life complete. Very few things make me smile and laugh as much as riding my Mako jetboard with friends. It makes me feel young. It makes me feel adventurous and that’s the feeling I love chasing. The quality, experience, service (especially the service) and overall feel is exceptional. Mako is far ahead of its competition, and that's why I chose the Slingshot. I ride my jetboard all the time, so much fun! Easy and intuitive to learn despite my never having surfed before. I bought this to escape the daily grind and to challenge myself. I now look forward to riding my Mako jetboard every chance I get! The customer service at Mako is second to none - unbelievably speedy. The best engineered jetboard on the market. 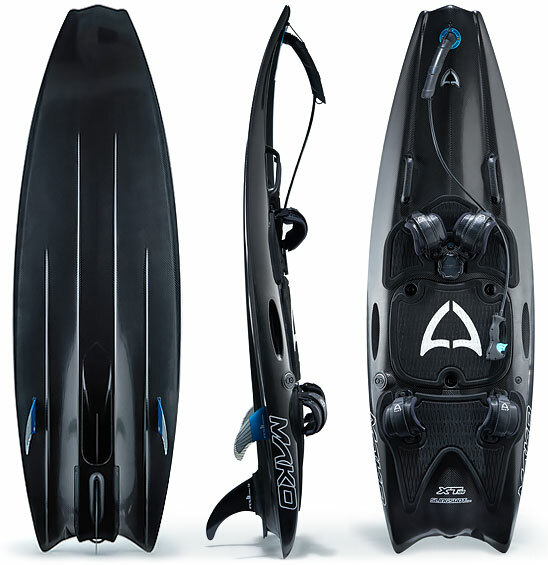 Mako provides a user friendly, intuitive surfboard with a sleek, classy appeal. On top of this, the team at Mako provided amazing customer service. 10 out of 10. Will definitely recommend to all my friends. Mako represents a dramatic and welcome shift in the jetboard industry. The Mako board is the easiest to use and they also boast what is beyond doubt the best aftercare support in the market today. Mako ensures we continue doing what we do best, getting people out on the water having as much fun as possible. We know you’ll love your Mako jetboard. Ride today and experience it yourself. Replacement Mako jet board parts or repairs if something goes wrong during your guarantee period. Full range of genuine Mako jet board spare parts to keep your machine running smoothly. We don’t stop caring about our jet boards once they’re yours. Even after your guarantee has ended, we’ll still be on hand to help.. Grab your Mako Slingshot jet board! The Mako motorised surfboard lets you experience power surfing over almost any body of water at up to 35 mph, no waves required.